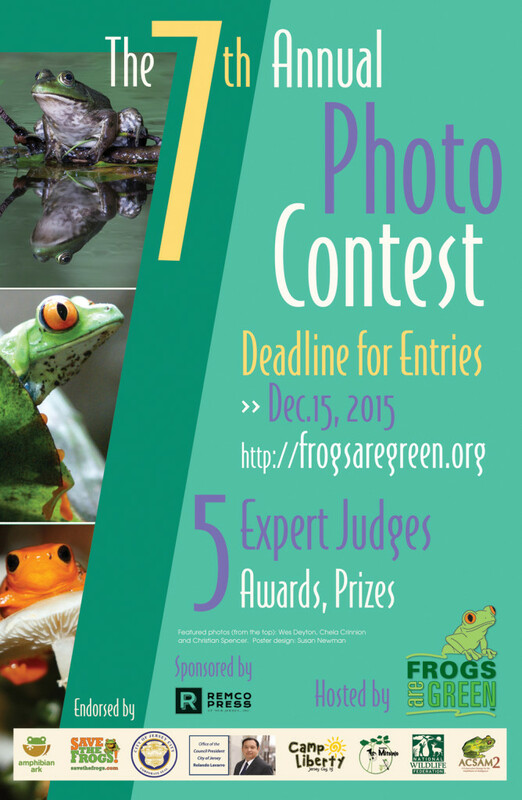 Enter the >> Backyard Frogs Photo Contest 2015 << Now! Enter the >> Frogs in the Wild Photo Contest 2015 << Now! PLEASE! NO photo manipulation and no photos of pet frogs. Please do not move the frog to get a better photo. Photos of amphibians of all kinds, including salamanders, will be accepted. If you cannot view Flickr where you are located, just email your digital entries to Frogs Are Green and we will upload your images to the Flickr group gallery. You must share your Full Name and from what State or Country the image was taken. You may also enter a caption to help describe or place the image. ****Note: You DO NOT need to have an email with Yahoo to enter! Just look on the Sign In/Sign Up on Flickr and you’ll see other email options! 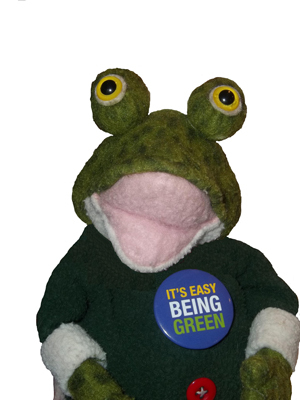 The 1st place winners will receive a Frogs Are Green poster or t-shirt of his/her choice from the Frogs Are Green store. Winners will be judged in the 1st, 2nd, 3rd and Honorable Mention categories. Click here to download the PDF poster for displaying in schools, libraries and other community spaces. Now’s your chance during the warmer months to snap up those winning images! 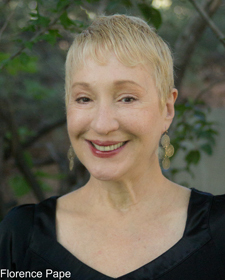 Florence Pape has served as Director of Development of Hudson Theatre Ensemble & Silly on Sixth for the last 15 years and loves working with her dear friend, Diana London, who is Artistic Producer of the company. 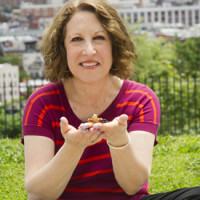 She has numerous Hudson Theatre Ensemble and Silly on Sixth credits and has also worked with Hoboken Public Library, Cantigas Choir, Kismet Productions, gaia Theater, Phoenix Theatre Ensemble Family Series, Parlour Productions, and soon Garden Street School of the Performing Arts. 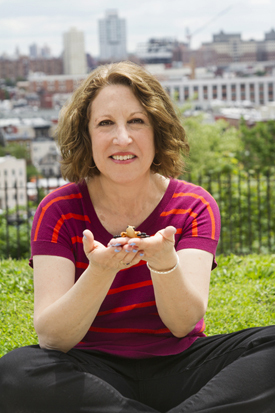 In her free time, she is a volunteer for the New York branch of the National Ovarian Cancer Coalition where she does outreach, promotes awareness, and raises funds. Bea Kunz was born into and continues to promote a generational farm family. Mother of two successful sons, grandmother of three grandsons. Member of a large, closely connected family. Bea served at the local and state level of Parent-Teacher Associations from 1972-1976. Bea continued on-going education in Early Childhood studies from 1975-2000 while owning, operating and teaching at the “BusyBee Pre-school and Day Care.” 1975-2000. The last two years of teaching were in North Carolina where she/her school were chosen through the NC board of day care educators to host a new program–integrating a totally deaf child into the regular classroom by way of using the Cochlear Implant ( at the time, untested in classroom use. ) The project was a total success and the child remained in our school for 2 years. Bea now owns and works Sage Hill Herb Farm… back to her Generational farm family roots. Matt Ellerbeck is a Salamander Conservationist based in Ontario, Canada. 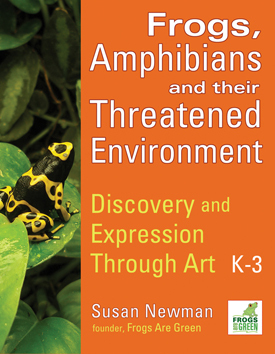 He focuses on outreach education to help raise awareness of the threats that salamanders face, and inform individuals about actions that can aid the recovery of these amphibians (i.e habitat stewardship). 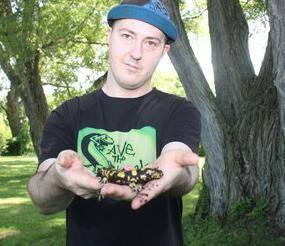 His efforts to help salamanders have earned him the Education Award from the Cataraqui Conservation Foundation. Matt is also a partner of the Amphibian Survival Alliance (ASA), which is the world’s largest partnership for amphibian conservation. Irwin Quagmire Wart is an author of fun and educational books for children. He has been writing for five years and has published four books. 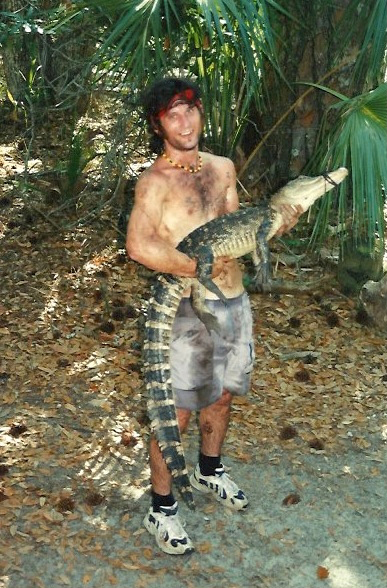 Irwin currently resides near Austin, Texas and lives with his human assistant. Irwin is deeply committed to teaching children about the necessity of environmental stewardship, as well as helping them understand why we all need to help protect wildlife. Irwin supports several nonprofit organizations that work towards making Planet Earth a better place for all sentient creatures. 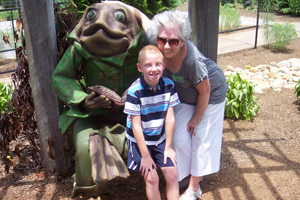 When he’s not writing, Irwin enjoys reading, swimming, traveling, and spending time with family and friends in his native Land of Lily Pad. To learn more about Irwin and his books, please visit his website at www.irwinquagmirewart.com. Fantastic! This is going to be so much fun and educational beyond imagination ! So very pleased to be a part…thank you Susan Newman…for the invite and for all you do to save the frogs! It’s a great contest for kids. I wonder when the contest is to begin in 2016? Is it an annual contest?